Transfer data between your connected devices using matte black color plated zinc alloy trimmed Charlie. 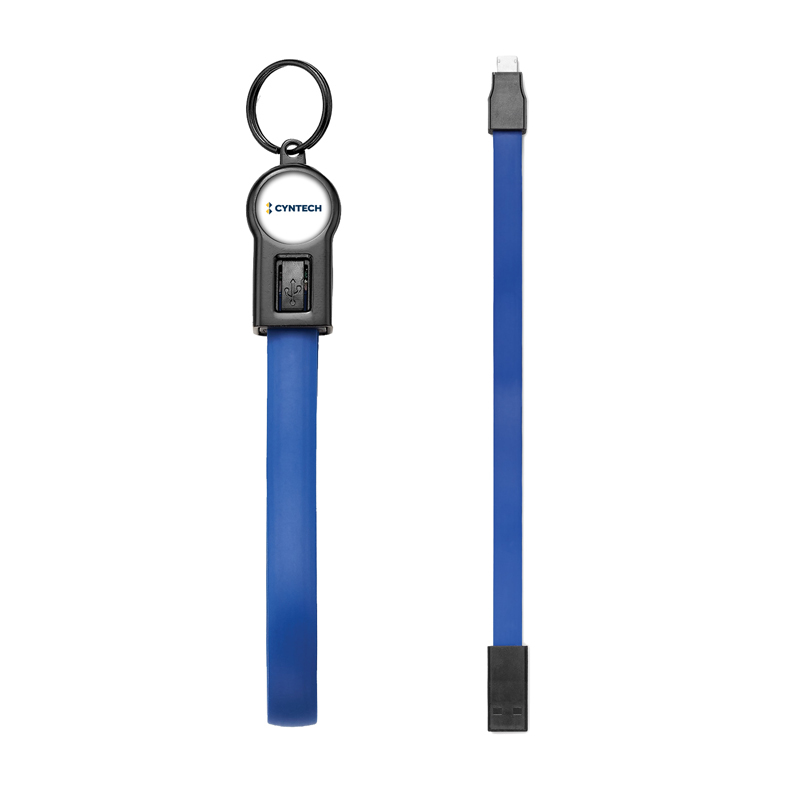 This 2-in-1 iOS /Android Thermoplastic Elastomer (TPE) 20 cm long data transfer / charging cable makes it easy to become an indispensable part of your tech world! 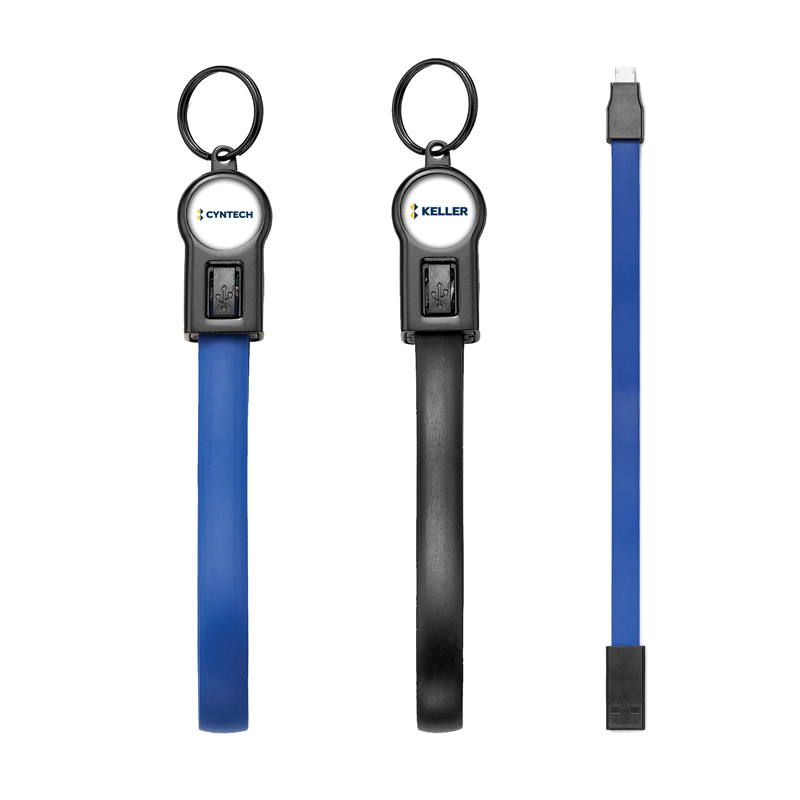 Simply attach it to your key ring using the black metal split key ring and your domed logo will proudly communicate your brand’s message everywhere you go.